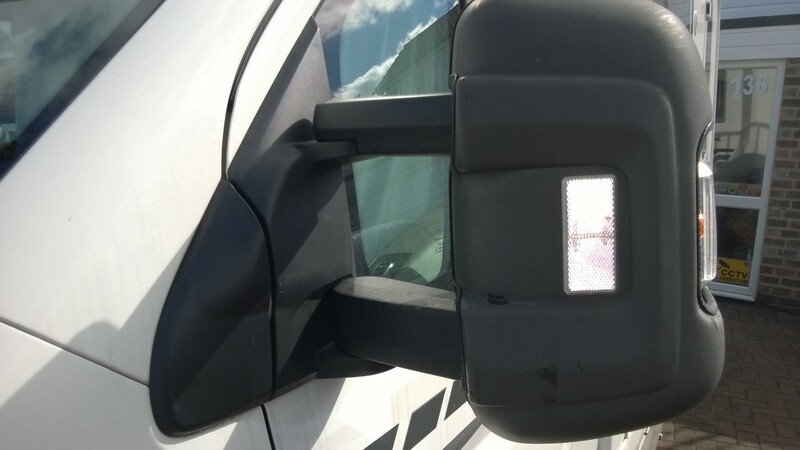 To reduce the risk of the collision of mirrors with oncoming vans I have added a white stick on reflector onto the front facing side of the mirror. Hopefully this might encourage approaching wider vehicles to provide more room. It’s an expensive to repair or replace the mirrors compared to the cost of a couple reflectors. Previous INFO – Reverse Polarity electricity supply risks abroad.